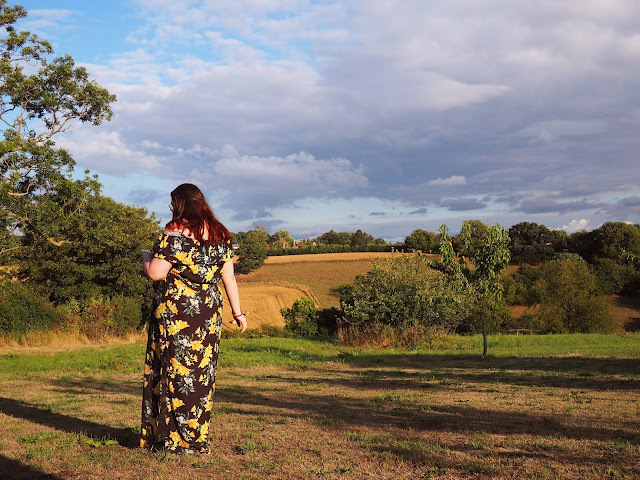 I'm never one to be organised but recently I've been scheduling my blog posts and I'm not sure I like it - it feels like I haven't spoken to you in ages even though I've been uploading regularly. The upside however, is that when I go away I can actually put my phone down for more than 10 minutes at a time and I can switch my brain off because I have a post going live already that week. So when I got the chance for a little mini break in the Somerset countryside it was a great chance to digitally detox - well sort of anyway, as I was invited to take a look around and share my thoughts with you. 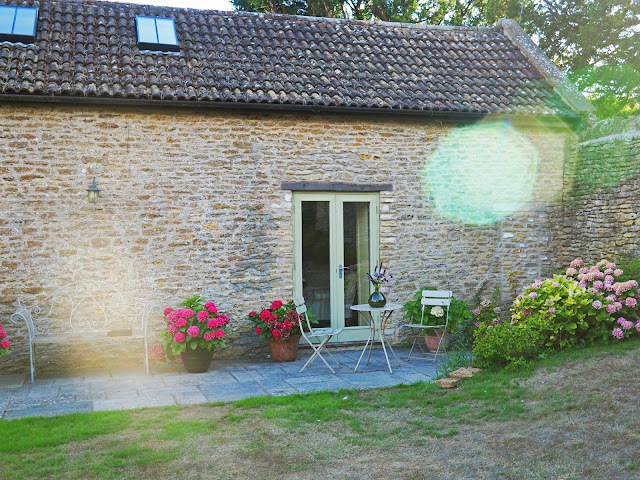 Swallow Barn is a beautiful B&B in Frome, and it literally is in the middle of nowhere. Unfortunately I don't drive yet so I'd planned to get a taxi but Penny, the owner, was incredibly kind and fetched me from the train station but if you'd like to visit it's vital that you have a car. For me having no car meant that I was there for the duration, but that wasn't a bad thing as I actually got to relax (i.e. take thousands of photos for Instagram, same thing I suppose). 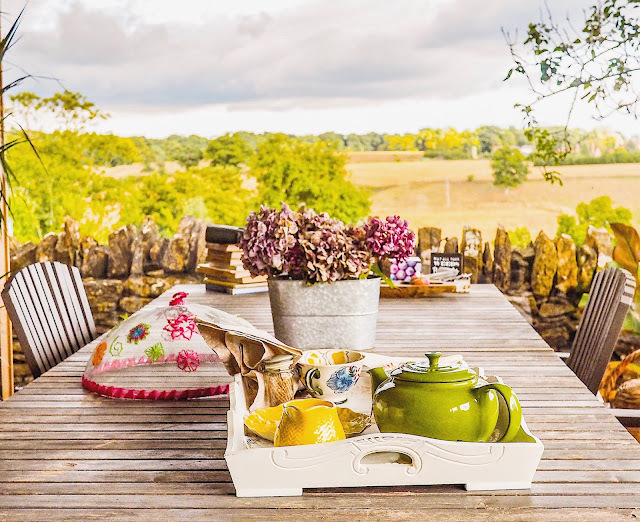 However if you do have a car it's in a great location, as you're not far from Bath and even Shepton Mallet with the amazing outlet shops isn't too far away. There are two rooms at Swallow Barn, with one larger and one more compact. I stayed in the smaller one, but it was still plenty big enough with lots of options of where to sit. My only two issues may be considered somewhat strange but it's something that I did find a little frustrating while I was there. In my room there was no window, only a patio door. That's fine when you're awake because you're still getting ventilation but I was asked to close the door when I went to sleep and that made it unbearably hot. The other issue I had isn't a major one but it was a little frustrating that there wasn't a desk so even if I wanted to work I couldn't. However, as a guest you are given access to a garden room, shared between the two rooms which has a table. Despite not being a private space it was incredibly peaceful with a beautiful view, so I could've worked there easily. 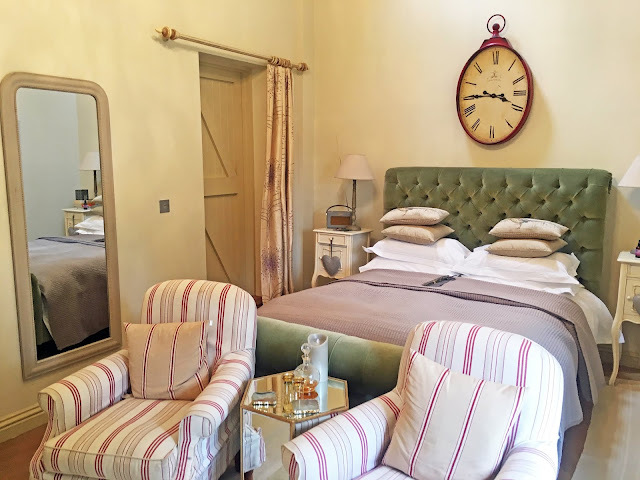 The room itself is beautifully decorated and I love the small touches such as a stack of postcards that you can write on and the owners will post for you, lavender around the room, a wireless speaker, and even a drink for you to toast to your holiday with. 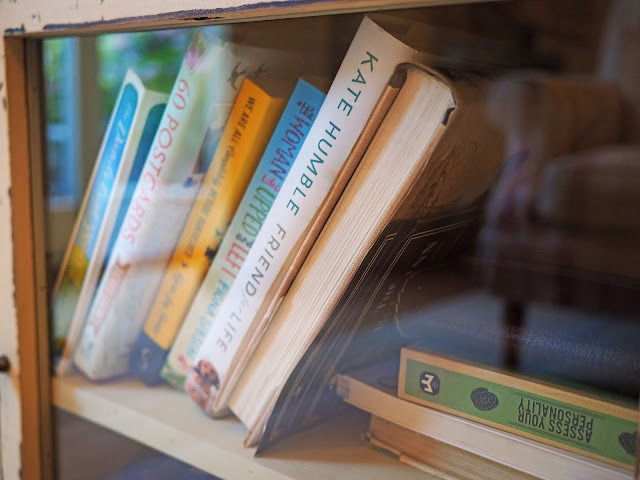 Despite my slight gripe of having nowhere to work there is wifi, but if you'd prefer to be off-grid for the weekend there's a cabinet of assorted books and games to play during some well deserved screen-free time. When talking to the Penny, she said she puts fresh flowers in the room before every guest visits which I think is a beautiful touch. However, I did find myself sharing my bed with little pieces of lavender so be careful when you move the welcome letter from your bed! Once settled into your room you're invited to have cream tea in the garden room, included in the price of your stay. This is actually inside despite the fact that you can't really tell from this picture - honestly my favourite thing about my stay at Swallow Barn was the view. The land is actually part of the Macmillan trail so if you enjoy walking it would make for an amazing base. Unfortunately I didn't have time, otherwise I definitely would've gone for a wander. 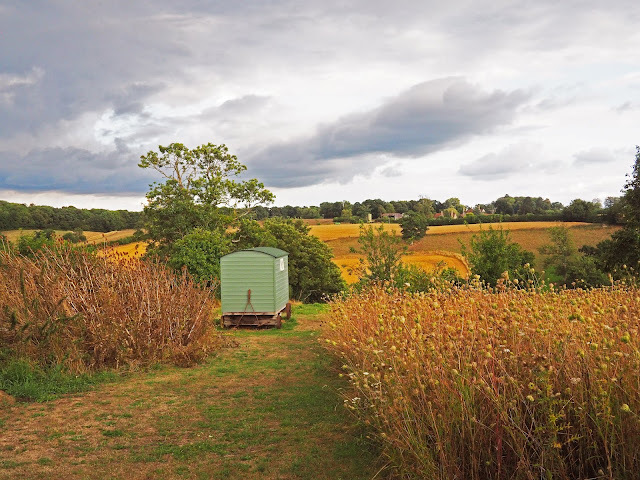 There's also a little green hut just out of view with space for you to take a laptop and work in or practice yoga, and some chairs and a small table outside around a fire pit. After my cream tea I settled in for the evening. Staying in a guesthouse as opposed to a chain hotel is kind of a love/hate scenario; I got on so well with Penny and felt like I was staying with a friend, but equally I felt like I couldn't be awake too late because my doors looked onto the main house and I was worried I would disturb her, so if you're a night owl that may be something to consider. I must admit, I didn't have the best night's sleep but that's not at all the fault of Swallow Barn. If, like me, you're a city dweller I would absolutely recommend staying for a few days. I actually struggled to sleep because it was too quiet (at home I live next to a motorway so there's always ambient noise, even in the middle of the night), so I think you need a few days for your body to adjust to it being peaceful. I feel like coming from a family of country bumpkins I'm a bit of a let down, because I'm a complete fish out of water in the countryside. If you're like me, I would recommend perhaps not keeping the doors open all day because I have never gotten up as quickly as when I opened my eyes to see a spider taking a morning stroll across my duvet. Being in the country definitely required some time to settle, but once you've learnt to unwind it's incredibly peaceful. Waking up you have the most amazing shower to look forward to getting in to, and having recovered from my 8-legged wakeup call I found myself taking my time to get ready. 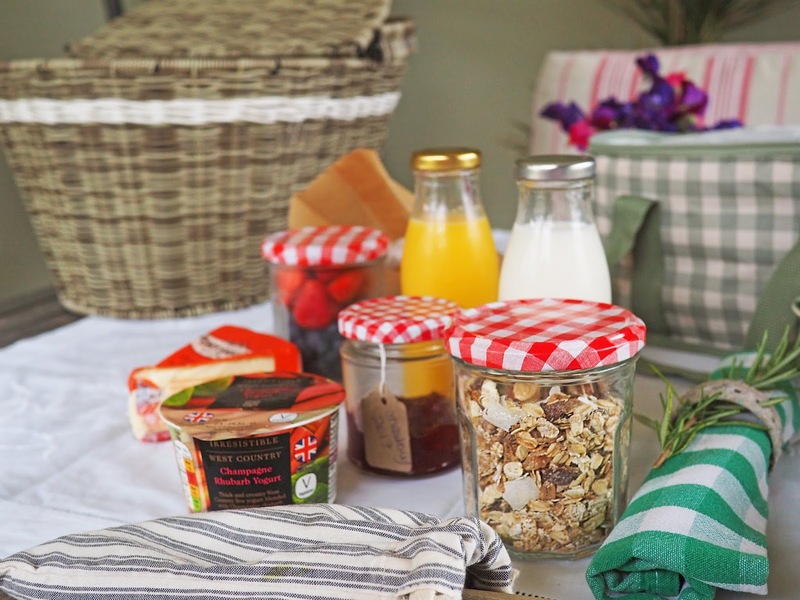 Breakfast was continental with locally sourced ingredients and pastries from the local bakery, all served in a hamper either delivered to you in your room or in the garden room. Penny does breakfast herself every morning, so if you have any dietary issues you need to mention it before hand as there isn't a trained chef and a gluten free kitchen at her disposal. However, for me it was great. I'm not a lover of granola, so I had my yoghurt with the berries in instead- the yoghurt was champagne and rhubarb flavoured which tasted incredible. There was also some jam, two pain au chocolat which tasted incredible, croissants, orange juice, milk and cheese which if I'm honest I couldn't work out what it was meant to go with, as the croissants were quite sweet. Everything else, however, was very enjoyable, and getting to eat breakfast with a view made it that much better. After breakfast I had intended to look around Frome after helping Penny with some social media admin. However, we got on so well that we ended up chatting over coffee for several hours and had to rush to the train station as I had to present my radio show that evening. 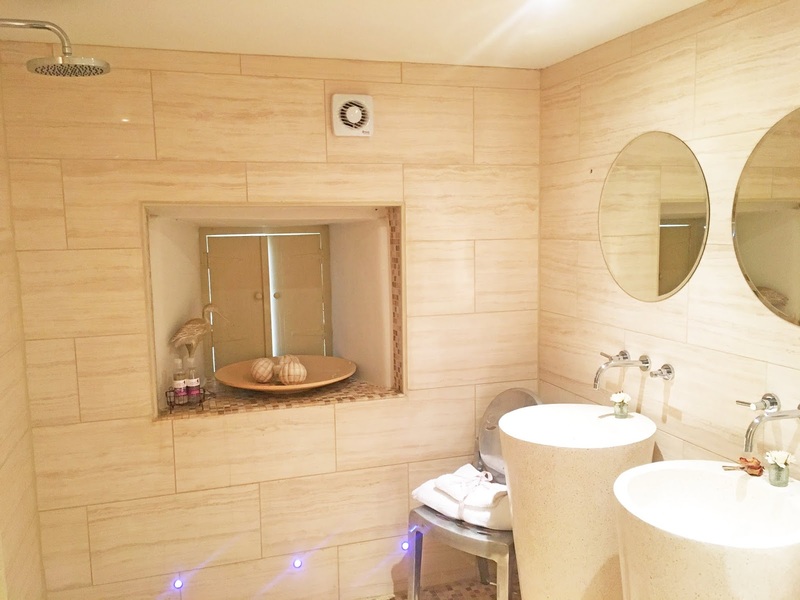 I'm used to staying in big chain hotels where you never see the same person twice so I wasn't sure how it was going to feel staying somewhere much smaller but I really enjoyed the change. It's so different that it takes a while to get used to, but I loved the feeling of staying with a friend, rather than in a skyscraper with identical rooms and labyrinth corridors. Rooms are £120 per night with a minimum of two nights stay, and it's absolutely worth the trip for the view, and to meet Penny! Considering I'm absolutely a city girl, it took some time to adjust but I loved my stay and would definitely go back. What do you think? Are you a country bumpkin or more of a city dweller? Let me know in the comments or on my social media.